After buying your domain, you may have the unpleasant surprise that your Digg votes show zero points. You will also notice that you have no Alexa rank nor PageRank. Also, the new url has no Technorati rank at all. It doesn't appear in Google, too. But don't worry, as all this can be solved. You should have noticed that, if you have it, the widget to vote on Digg displays zero points in the old posts. This happens 'cos your url has changed when you purchased your domain. This problem can be solved with a script that you can place in your template. 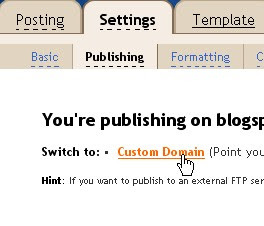 1) Go to your Blogger Dashboard and click in "Layout". 2) Then click on "Edit HTML". 3) Click on "Download Full Template" and save a copy of your template on your hard drive. If you crash your template and your blog is ruined, you can restore it uploading this template again. 4) Click on "Expand widget templates". // of writinh it as date. 7) Preview, and if all works right, save the template. If you already had a Digg vote button like this, you may replace it with this code where it fits. All the lines starting with // are comments that you can remove if you like. Read them to understand how it works. Now you have to try to keep traffic coming, so you keep your Alexa Rank. But what most people don't know is that you can write to the Alexa Support Team and, being polite, ask them to mix the records of your old and new blogs. Doing this, your rank will be recovered sooner and will be a lesser loss of rank. They will email you soon, and you will be able to choose an url as the primary for records. The records for both urls will be mixed and it after some weeks you will see your Alexa recovered or almost all recovered. I explained in the other post how to get your domain at NameCheap and get email forwarding for free. SNO - the email number. Don't care about this. FORWARDED TO - to what real email the messages will be sent. 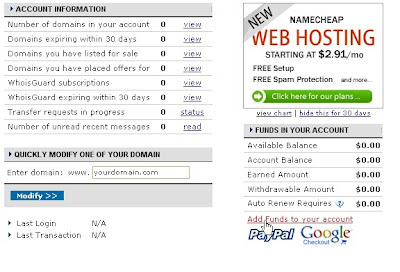 You'll see that when you purchased your domain name, you already have a default email name called "info@yourdomain.com". Other common names people use are "contact" for personal email, "suggestions", "support", etc. Don't think it's only for bussiness people or corporate webs. If you own any kind of web, it may be useful for you too. Apart from configuring the email forwarding to give you a more remarkable web presence, you can also use it for your family, partners or friends, as you have 8 emails for this. Remember that the changes are not instant. You will experiment a delay in the messages sent to the new forwarded emails. Just wait 24-48 hours and it will be all right. This is a step that many people fail to take. It is a really hard work, but at the end it's worth. - Go to all the social sites and replace your email with the forwarded one, and your old url with your new domain name. - Look to the widgets and directory buttons that you have in your blog's sidebars and modify your links in those services to point to your domain. 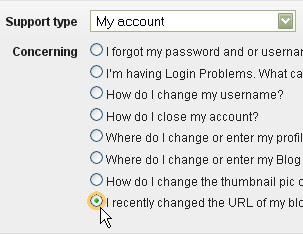 - See if you entered some links in the sidebars pointing to some of your posts that need to be modified. It's a nice time to review all of your profiles, update the information, use the same text in all sites, and also link the social sites you use one with the other. For example, Facebook or BlogCatalog have links to many other sites as Twitter, etc. There you will see a box in which you will enter your url. You will need then to verify that you are the owner. Choose to use a META tag when asked for the method to verify, as it's the best for Blogger. Then, go back to the page to verify your site and proceed. You may also examine the state of your site in Google, the pages already indexed, etc. 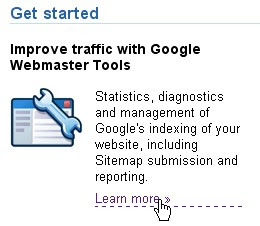 with those webmaster tools. The last thing to do is recover your rank at Technorati. You must basically go to Technorati, and delete the claim of your old blog. After that, add your new blog. After that, explain them that you have bought a domain name and you don't want the old url to be listed, to avoid confusion. Now only lasts to contact your Technorati friends and tell them to fave your new domain. I hope that this may be helpful for you and enjoy your new domain. It is possible to have a domain name for your free Blogger account. That way, you can have as url something like "www.myblog.com" instead of "myblog.blogspot.com". You'll never loose the links you gain if you move your blog to another service. You'll never loose the Technorati links, Alexa rank, Google's PageRank, or any points or links that you gain from now on. Google will index your website better if you have a domain name. If your site becomes very famous, you can even sell your domain name. It forces you to choose a topic for your blog. It's not good to buy a domain name without thinking it very much, because it's a decision that last for at least one year. It takes you freedom to change your site in a radical way. If your blog is a hobby or just for fun, don't loose your time buying a domain. The best is to start with a free service, and when you see if your aims are real or not, buy a service. Loosing many of your points in social sites. Your links from other sites will work, but they will not score for the new domain. These are problems that WordPress blogs don't have, as they can use a redirection (a "301 redirect"). Some people say you can, but it has the problem that you may by considered spammer by Google. It only works well for a site that is external to Blogger. Others say Blogger already does that, and after a time you will see the same PageRank, but it's not clear at all. These disadvantages don't have a solution, but can be minimized if you do some things that I will explain in another post. Your will is to maintain your site online in the long term. You have a clear notion of what is your site all about. You are going to make blogging or webmastering a part of your professional life. If it's like this, don't wait to loose PR, Alexa Rank or external links that maybe later will be difficult to regain. If not, take some time to decide the aims of your blog. What do you need to have a domain name? A domain name provider. This is a company that registers the domain as your property. A DNS provider. This is a company that sends the visitors to you. You must try to get both things. See if it has good opinions of users. See if their price for each renewal is the same through years. See if it provides domain name, and DNS services INCLUDED. Value the time that the company has been online. After doing this with many services, I recommend 2 providers: NameBargain and NameCheap. It has good customer service. And when people have some problem, they fix them soon. They have a forum and support center for solving problems. They have good opinions from users. They are the second brand of eNom, which is an more expensive and well-known brand. They give the same quality for less money, as they are the same reliable brand. They give you free email forwarding. It is: you can choose 8 fake email names per domain, like this: "theNameYouChoose@yourdomain.com". You can protect your domain name to be stolen by another registrar (registrar lock). You can pay by Paypal. This is, to pay secure and easy. On the right side click a link in a login box that says: "Signup for a Free Account". 3) Fill in your real data. 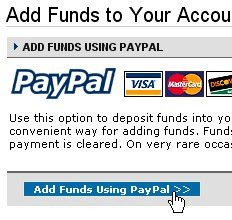 5) Click here, and you go to Paypal. Add funds to your account. Think in adding what you need. Each year costs 9.29 dollars. Multiply by the years you want to pay in advance, or just pay a year. 6) After you have the money added, go to "Register a Domain" in the upper blue bar. 7) Fill in the name and the extensions you would like to choose. Proceed. 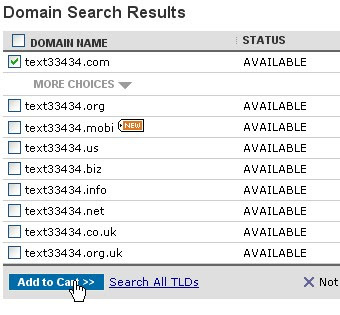 8) You choose marking the case of the domain you want to purchase, and click "Add to chart". 9) After that, you'll be taken to a series of screens that allow you to insert your data for property, billing, etc. and pay with the founds you added to Paypal. 10) They will send you an email with a copy of the purchase contract. Now you are the proud owner of your domain!!! Now, go to your browser, and type the url of your domain name (www.yourdomain.com). 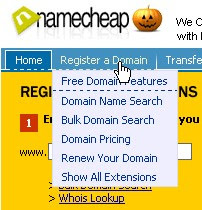 If you see a page that NameCheap has used to host your domain until you link it to your site, it's that you can proceed. If not, wait 24-48 hours. In my case, it happened almost instantly. 2) Click your domain name. 4) Enter ghs.google.com in www and @ and select CNAME(Alias) in both options. 5) Leave the sub-domains in blank, and select this to have emails named as your domain for free. Click the blue button of "Save Changes". 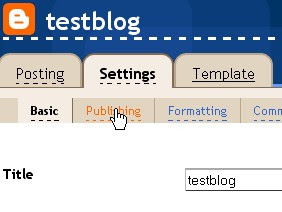 6) Go to your Blogger blog control panel. Enter the Settings. Click "Publishing". 7) Click on "Custom Domain". 8) A bit below, to the right, you have this. Click it. 9) Then appears a box to enter your domain. It is important that you enter it with the www. After all this, you will have to wait some time until it goes all perfect. For me it was 2 days. Your blog shows a 404 error all times, or sometimes. Your blog shows that error when you try to enter from your domain.com (without the www). Your blog takes more time than normal to start loading. Don't worry for this and just wait. After 48 hours (or less) it may be better, and after some days it will not happen, if you did all well. It's normal, because the domain name is being notified to all the DNS servers in the world. The same may happen to your email forwarding. It can take some days to work well. 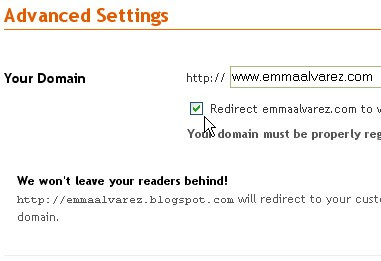 After this, your blog may be reached from: the old url, www.yourdomain.com and yourdomain.com (without www) . You will notice that, if you have the widget to vote on Digg, it shows zero points. This is because your new url for those posts is not the same as before buying the domain. How to do a script to show the old points in the old posts, and the new ones in the new posts. How to minimize the time for regaining your Alexa rank. How to minimize the impact of this change in your social sites. I hope all this will be valuable for you. Good luck with your domain!!! 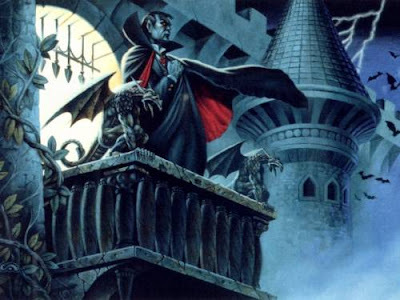 As I commented in the previous article, the belief in vampires is more ancient that we could imagine. So we can find stories about vampires in the ancient Mesopotamia (Utuhu and Maskin, monstrous beings that brought diseases to the people). In the Egyptian culture there was the deity Sekhmet (appears in the "Book of the Dead" many times). In India, there is Kali-Ma, who fed on blood. 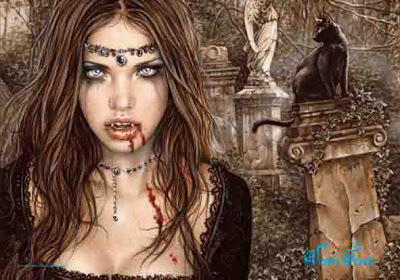 There are stories about vampires in the ancient Greece and Rome. In the Aztec culture, Civataeo fed on blood and brought the disease. There's even a vampire story in the "One Thousand and One Night". So we can notice that the belief in vampires is really ancient and is present in all cultures. Although vampirism may be surrounded by supernatural details, it may be based in something as real as two serious diseases: porphyria and rabies. Rabies is transmitted by the bite of dogs, wolves, rats and bats. All those animals are associated with the vampires. 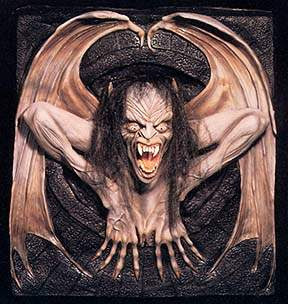 It is said that vampires can shapeshift with bats and vice versa. Rabies also causes a phobia for water. In the stories about vampires, they have a strong horror for holy water. Rabies is contagious and is propagated by bites. In the myth of vampires, they turn normal people into vampires by biting them. Rabies increments the sexual activity. The figure of a vampire is a seductive one too. 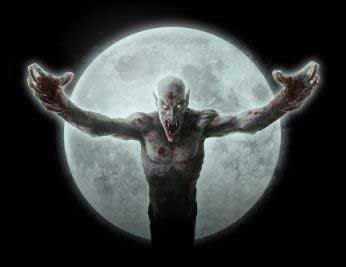 Rabies augments the aggressiveness, it may be the origin of the superhuman strength of vampires. Rabies also distorts the sleep, and makes the diseased to sleep at day. This way, vampires have nocturnal habits. Porphyria is another disease that can be related to vampirism. Porphyria makes skin to turn red, to be covered by blisters and ulcers, and bleed, when being under the sunlight. The myth of vampires says that the sunlight harms them. The ulcers in the face produce the loss of the lips, leaving the teeth visible. That way, the canine teeth seem more evident. Sometimes the eyes and teeth get turn red. The nasal cartilage is lost, and the upper zone of the ears, so they become pointed. This may give a person the appearance of a vampire like in the movie "Nosferatu". The lack of the red pigment of hemoglobin makes the skin pale. Garlic was used from the antiquity in the natural medicine. There are some components in garlic that can harm the hemoglobin. The person diseased of porphyria may notice a worsening in his health, thus feel repugnance for garlic the next time. In the stories of vampires, people used garlic in the windows and doors of their houses to protect themselves against vampires. To cure the porphyria, the ancients forced the diseased to drink blood of cows. As most of the hemoglobin was destroyed by the stomach, they had to drink a big amount of blood. Nowadays this diseased is treated with blood transfusions. Porphyria is not contagious. But it's hereditary. 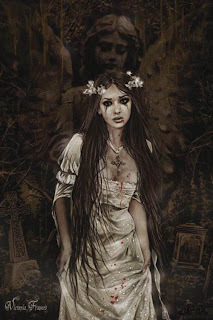 Vampires are depicted in the paintings as creatures of the darkness, gothic and sophisticated. 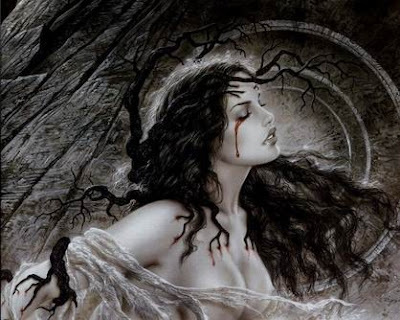 Nowadays, vampires are the main theme of many artist. 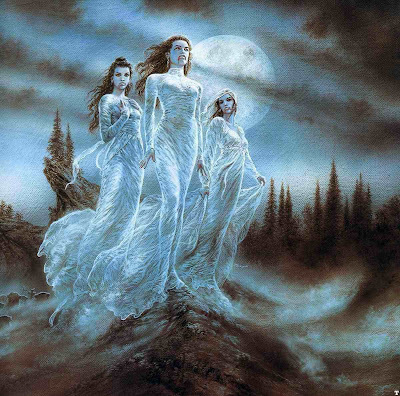 Amongst them, Victoria Frances and Luis Royo. Although the conclusion is that vampirism was a real disease, and not a supernatural curse, it's even more terrifying. The myth goes out of the legend, and becomes part of our real life. The people who had these diseased had to live with the superstitions and be discriminated by others. They were not monsters, just ill people. 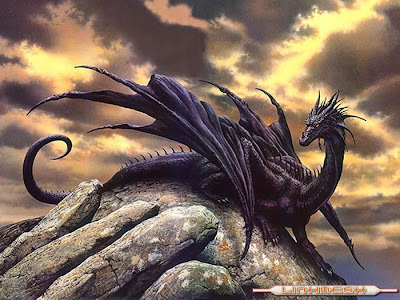 The word dragon comes from the Latin word "draco" and the Greek word "drakon" that means snake or viper snake. It's a fabulous animal and a symbolic universal figure. The dragon is present in most of the cultures of the world. In the ancient Oriental cultures as well as in the Westerner. The ethnologists Alexander Haggerty Krappe ("La genese des Mythes"), told that the dragon figure could come from the shock of discovering remains of prehistoric animals. In all the cultures the dragon has a important symbolic nature. Depending on the shape of the depicted dragon, the meaning may vary. Thus, the multi-headed dragon has a strong adverse meaning. The dragon that bites its own tail symbolizes the "Eternal Return", and has been depicted many times in emblems and shields. The symbol of the dragon was very usual in Alchemy. 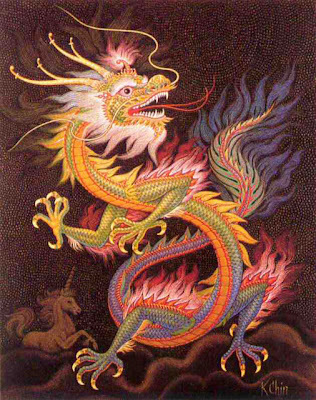 Colors may vary the meaning of the dragon: a red dragon is the guardian of science, and a white one is a lunar dragon. In the Eastern, a black dragon symbolizes the North, and blue ones are symbol of the coming Spring. In the Orient, dragons are considered benevolent spirits, symbols of the forces of Nature and Universe. They are linked to Wisdom and a long life. In the legends of Orient, they have magical powers. In China, they made dragons with paper and wood and were used to attract the rain. They were carried through the streets. If the rain didn't come, the dragon was destroyed. The dragon was believed to be an intermediary between them and the forces of Nature. 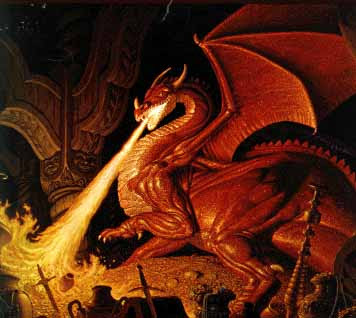 In the Westerner cultures, it's depicted winged, scaly and able to spit fire. In some cultures, the dragon has the gift of speaking. In the dragon converge the elements of fire, water, earth and air. 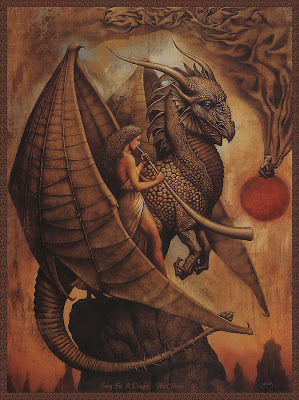 In the beginning, the dragon was associated to the God of Water and the God of Sun. It had powers both destructive and benevolent. It was believed that it lived in the deep of the sea where it guarded treasures. The dragon controlled the destiny of humanity. So with the pass of time, people began to fear the figure of the dragon, and there was a wish to fight and defeat it. This way, in the Westerner, it ended having an adverse meaning, and sometimes it was depicted as a devil or demon. In the Middle Ages, it was depicted with chest and legs of eagle (celestial quality), body of snake (secret and subterranean quality), bat wings (intellectual quality, as intellect comes from God that is associated with Heavens), and a dart shaped tail (just like the lion in Astrology, a symbol of submission to reason). 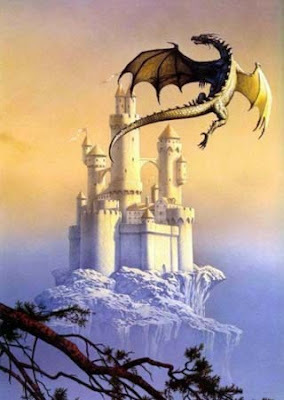 The dragon, both as a symbolic figure as well as for its majestic appearance, has decorated palaces, shields, weapons... It has starred stories and works of art. It's always present in the fantasy stories of all times. Maybe because the dragon gathers all the elements that the human beings desire and admire. Hatshepsut was daughter of Thutmose I. He ruled for 13 years during which he expanded the frontiers of Egypt as far as the most western part of the Euphrates river. This way, he increased the wealth of his Empire, as those lands where very productive. He was also a great builder. 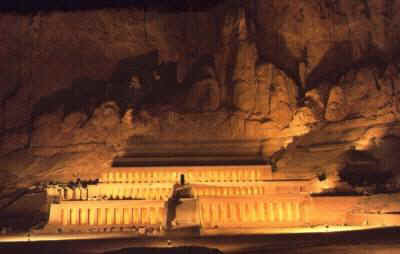 He started the Valley of the Kings, where he and other pharaohs were buried. 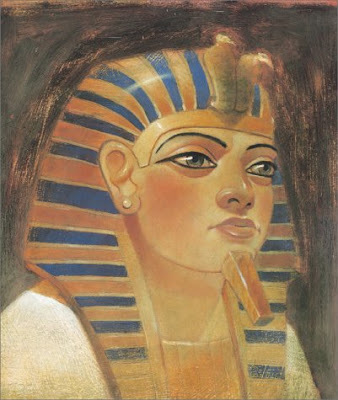 Thutmose wished than when he died, Hatshepsut succeeded him. But after his death, there was a big fight for the power. The architect and vizier Ineni (architect of the Valley of the Kings) was very influential, and hated the idea of a woman ruling the Empire. So he promoted Thutmose II to the throne. Thutmose II was son of Thutmose I and a secondary wife. So he was half-brother of Hatshesput. They married Hatshepsut with his half-brother Thutmose II. This was a hard blow to her. She wished to rule, and not to be in the shadows. She was brought up to be a pharaoh, and her biggest wish was to exceed his father's successes. Thutmose II was a very weak man with a bad health. He died 3 years after. But he had a son with a concubine that he called Thutmose III. As Thutmose III was a child and can't rule, Hatshepsut came to power. For some time, she concentrated her efforts in getting allies, as she had strong enemies. She get the support of the priests, who spread that she was Daughter of Amun. This way she was made pharaoh. She got the powers that were granted both to men and women. She dressed like a pharaoh, including the false beard that they used. During her reign she restored cities and temples devastated by wars. 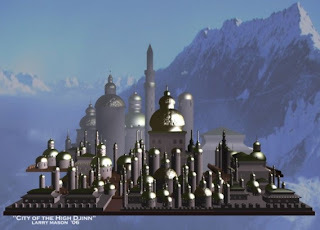 In Thebes (her city) she built temples and obelisks decorated with gold and silver. There was an ancient country called Punt. No one could never locate it with precision. Who managed to be there had brought with them gold, ivory, silver, incense... It was called the Golden Punt. The most important expedition to Punt was sent by Hatshepsut, commanded by her official Nehsi. Nehsi was Nubian descent. His name means "He of Nubia". A friendship with the Kings of Punt was established. From time to time, they brought presents to the Egyptian court. They brought 5 ships full of treasures from that land. 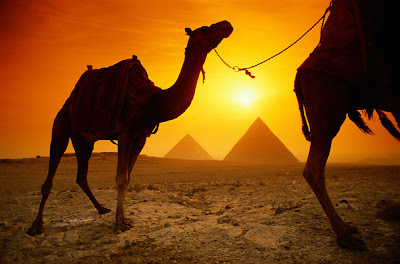 So many, that the palaces of Egypt were decorated with them for generations. They brought exotic animals and incense trees too, and myrrh (which was the favorite fragance of Hatshepsut). This expedition also was the first recorded attempt to transplant a tree of a foreign country. They took many trees from Punt, and planted them in Hatshepsut's mortuary temple of Deir-el-Bahari. For the 22 years that she ruled, peace prevailed, the commercial activities raised, and increased the splendour of Egypt to its maximum. 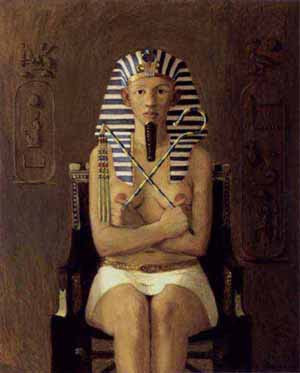 When Thutmose III grew up, he started a conspiracy against Hatshepsut. 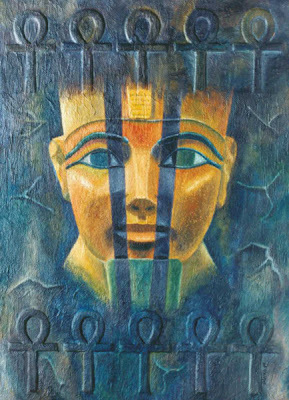 It is said that he poisoned her, and tried to deface and destroy both the monuments and memories of Hatshepsut pretending that she never existed. And that never a woman could bring so much magnificence to an Empire. Vincent van Gogh made this painting in 1889, 13 months before his death. He didn't paint it in front of the landscape, as it was his habit. He did it through his memories. And he did it from the Saint-Remy asylum (Provence). Van Gogh painted this artwork with passion, with vigorous, even desperate brushstrokes. The moon and stars are surrounded by light glows. In the distance, the village, as submerged in a dream. This picture has some Japanese influence, as he felt a great admiration for that art. He emphasized the mauve, yellow and purple colors. His euphoria can be sensed. He is the highest point of his happiness. Soon, he will fall in his deepest abyss. Since his desperation takes him, months later, to shoot himself in the chest. His agony will last for 2 days. It's said that in his deathbed he didn't stop smoking. Without a doubt, he wanted to leave. His time was gone. He was 37 years old. 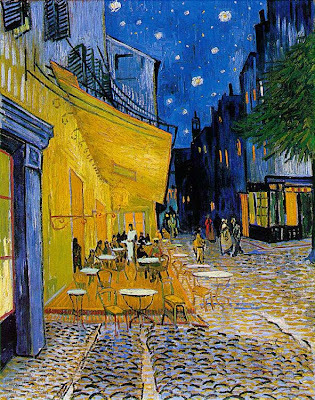 Van Gogh depicts an elegant cafe-terrace in the on the "Place du Forum" in the very center of Arles (France). 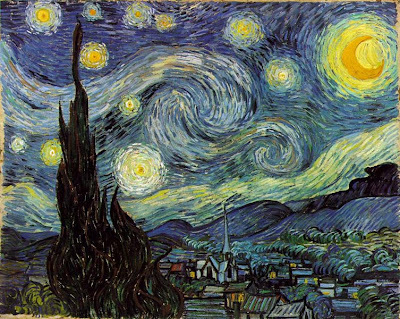 Van Gogh was amazed by the night lights, both the artificial as well as the ones generated by the moon and the stars. In this artwork, there's no symbolism nor thematic depth, just the everyday life. This is an optimistic moment of his life. He just paints a cafe in a city he likes, and feels satisfied. "On the terrace there are small figures of people drinking. An immense yellow lantern illuminates the terrace, the facade, the side walk and even casts light on the paving stones of the road which take a pinkish violet tone. The gables of the houses, like a fading road below a blue sky studded with stars, are dark blue or violet with a green tree. Here you have a night painting without black, with nothing but beautiful blue and violet and green and in this surrounding the illuminated area colours itself sulfur pale yellow and citron green. It amuses me enormously to paint the night right on the spot." Van Gogh writes to his brother Theo and tells him that he has a big need of going out by night and paint the stars. He tells him about this painting, and writes him: "The public will like this painting very much, because the main topic is poetic." He depicts the night reflected in the waters of the Rhone, and the figure of two lovers. They are in the foreground. But instead of choosing two young lovers, he chooses a couple of old people. This way he symbolizes the eternal love, deep and calm: two lovers taking shelter on each other in the cold night. Finding freeware for design and programming can be a hard task. Here there are 50 of the best. By using these programs, your projects will have a superior quality. Some of them will save you a big amount of time. Maybe you never thought in using some of them. But they will surprise you so much, that you won't be able to avoid testing them. 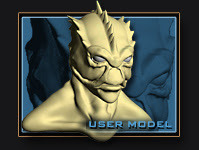 The Gimp, is a complete tool for photo retouching, designing and creating images. It has fantastic effects, filters, layers. It's a very well known freeware. 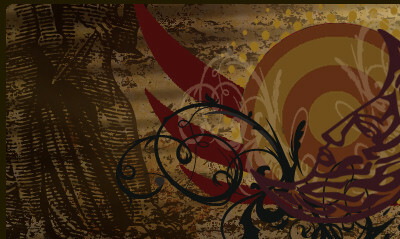 DeepPaint, is an artistic painting program, similar to Corel Painter. You have tools for: oil, acrylic, chalk, watercolors... And also different canvas and fully editable brushes. ArtRage, is a beginner's program for artistic painting. Very easy. MegaPOV, Do you know POV? 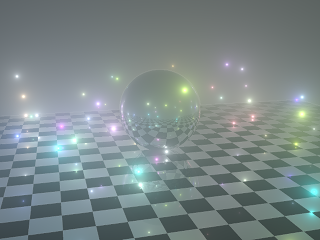 POV is a program that makes realistic images using a simple programming language (there are also modelers). This is a improved version of POV. 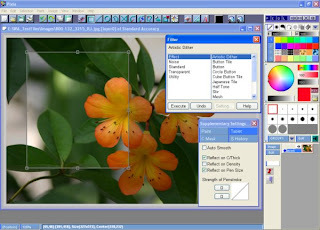 ScreenHunter 5 Free, is an useful screen capturer. The best of this program is that once configured, you just have to press a key and all captures go to the folder you like. 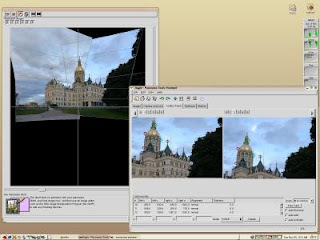 Hugin, is for doing a panorama image from photos. A panorama is an landscape image that repeats without no visible borders. It can be very useful for a website header. ColorCop, is a color selector. You select with the eyedropper anywhere in the screen and you get the number of the color. You can copy it and you have the exact color you wanted. 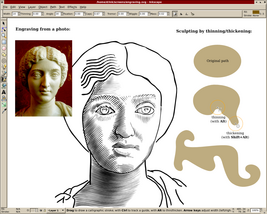 Art of Illusion, despite the obvious difficulty of 3d modeling, this program is really intuitive and powerful. With this program you can do everything in a simple way. 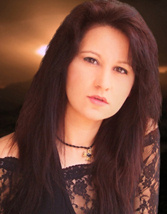 CBModelPro, is an organic modeling program. It has sketch based modeling and blobs. For now it's in free beta. Anim8or, you can not only model with this, but also render pics of your models and make videos of your animations. 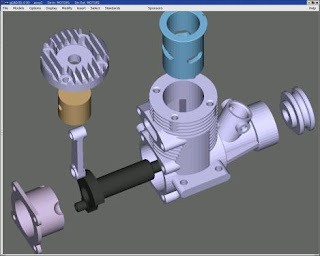 gCAD3D, a very hard to find tool. It's free CAD software for industrial design or architecture. 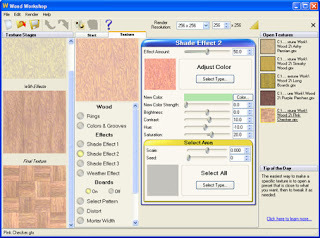 Wood Worshop, makes seamless wood textures. 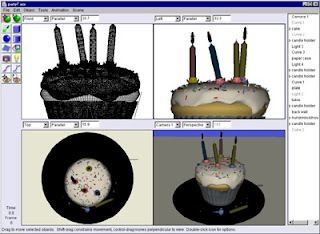 Texture Processor, a tool for easy making seamless textures of all kinds, for websites or 3D. Very easy and can also make random textures. So even a person with no computer skills can get something interesting. FreeMorphing, turns an image into other and makes a video on that (morphing effect). CreaToon, is for making cartoon movies. Miro, is a video player that can play all known video formats. 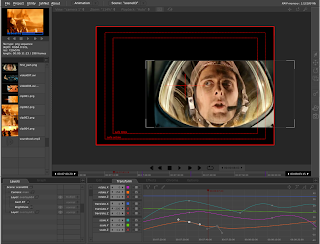 Jahshaka, a complete system for editing video in real time, making effects, sound, music... It's like a video studio in opensource. CamStudio, a simple tool that captures all the screen or a part to a video. It can save to many formats, and comes with a flash converter. Once configured you must only press a key to start and stop recording. Mp3MyMp3 Recorder, can record all that sounds in your PC to a mp3 file. Anything that your sound card plays can be captured. It also has easy controls and it can use skins to alter its appearance. 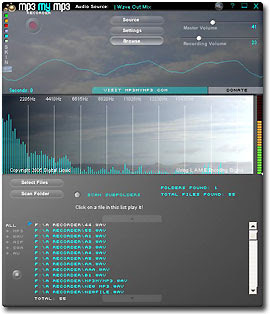 Free Mp3 Wma Converter, is a sound tool that can convert between all these formats: Mp3, Wma, Ogg, Aac, M4a, Ac3, Ape, Flac, Wav. From any of them to the others. Cream, this is a version of a very famous text and code editor called Vim. Cream is an improved version of Vim, that has all the features of Vim but is easy to use. 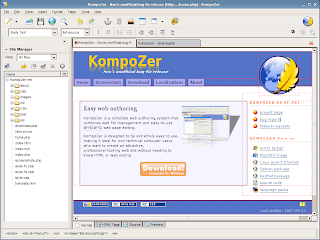 Kompozer, is another improved editor. In this case, it betters the NVU editor, that was for editing HTML and making web pages visually. It can also edit CSS styles. 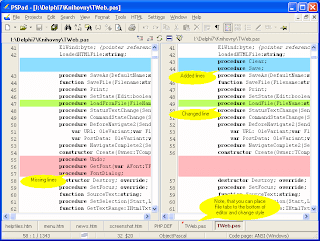 Netbeans IDE, a powerful Java editor that you can use for developing applications and websites. 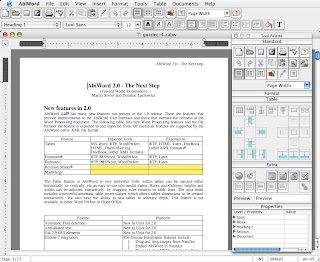 AbiWord, is like an easy version of Word. It's an opensource text editor that you just run and use. Notetab Light, a code editor which main feature is to have support for many computer languages, and a window where you can save pieces of code that you use very often. When you need them, you just click and they are pasted in the text window. 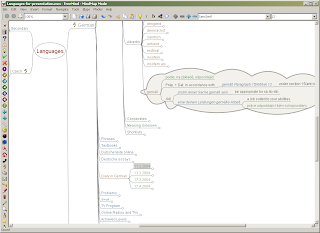 FreeMind, helps you to draw schemes of your ideas, ordering them so you can plan your designs, a web site structure, or anything. This is done through arrows, shapes and text, in a visual way. JR Directory Printer, prints a directory contents (names of files,etc) in a text file. RSSOwl, is a news feed reader, to subscribe to your favorite pages and be noticed when a new post or news is published. It also has a built-in browser, or can open the post in your favorite one. 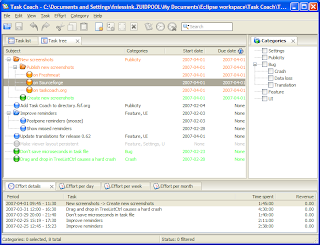 TaskCoach, a task manager. It is quite easy and more colorful than others. QuickRun, sometimes you use several programs that you open at once every day. For example, Freehand, Photoshop, and the web browser. Quickrun allows you to make list of programs. It creates a shortcut that you can place on your desktop, and it will open them all that for you when clicked. 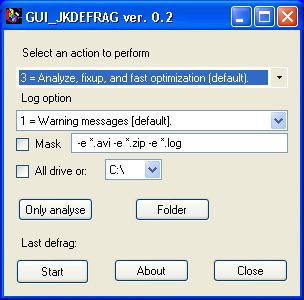 JKDefrag, JKDefragGUI, The first is a defragment utility for your hard drive in Windows 2000,2003,XP,Vista or X64. Although this program may look basic, it is the quickest and more reliable one. The second link is for having a graphical interface for your defragmenter. GAG, is a graphical boot manager. It's widely used and the easiest one to install and use, and it's much more safe to install than any other. 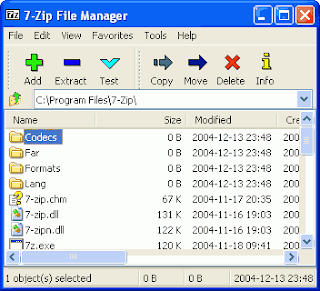 7-Zip, if you need a compressor this can compress to: 7z, ZIP, GZIP, BZIP2 and TAR. It can also decompress from: RAR, CAB, ISO, ARJ, LZH, CHM, Z, CPIO, RPM, DEB and NSIS. Xplorer2 Lite, when you work with many files, you could work faster if Windows Explorer could have 2 windows instead of one, have "bookmarks" for your favorite folders, or customize all the buttons and leave only the most needed... All this and more is possible with Xplorer2 Lite. FileZila, is for FTP,SFTP,and FTPS. This is: normal and secure file transfer between computers. This opensource program has become very famous and is widely used. JFtp, supports SMB, SFTP, NFS, HTTP. Its a Java program. Has a much simplified interface than FileZila. FreeSSHd Server, if you want to share files between computers in your home, and make it in a secure way so no one can spy your data. 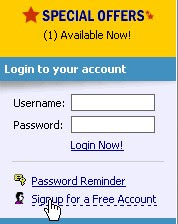 FreeSSHd is the easiest program you can use for this in Windows XP/Vista. WinSCP, is a Windows program for secure FTP. Again, has a very ease of use. DataCrow, is opensource. 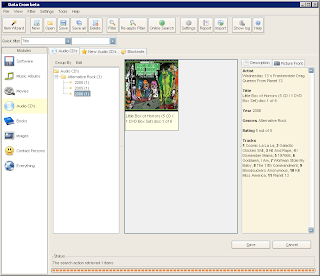 You can organize your data in different categories: programs, images, books, music. It has a visually appealing interface. NeoMem, another opensource organizer. You can learn to use it very quickly. You can create your own categories and fields to fill, and give them an icon. It has no installer (just place in a folder) and it's very small, so you can take it on a USB drive to another PC easily. eSoftSerial Organizer, it's thought for these categories: demo software, multimedia, freeware, security (passwords). But you can add your own categories. Easy and appealing interface. You can also add images to the articles. SEONote, organizes notes and files. A very powerful application with many options. It may take a long time to learn to use it but allows a high customization. 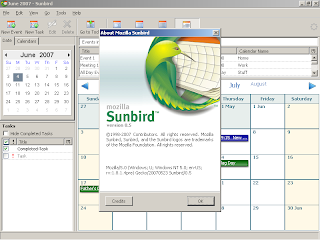 Sunbird, a calendar and events application build by Mozilla. It has a very easy interface and a clean appereance. 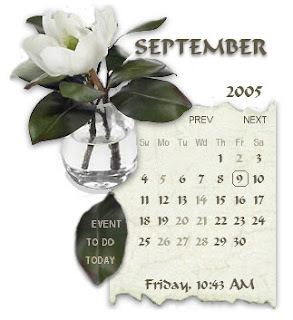 Rainlendar, not only calendar, it is also an event reminder with alarms, and a "To Do" task list. It can be higly customized too with dozens of skins. Before And After An Award!! !